When it comes to beauty, we all have our firsts—our first beauty lipstick, our first perfume, our first experience of testing a bold eye shadow on the back of our hands before swiping it across our lids with little attention to precision. But these early brushes with beauty help us to evolve our own beauty journeys. Follow us in our new series, First Brush With Beauty, as we revisit beauty firsts. Today we’re talking to Gary Thompson, who goes by the moniker The Plastic Boy on Instagram, where he boasts a cool 155k followers. 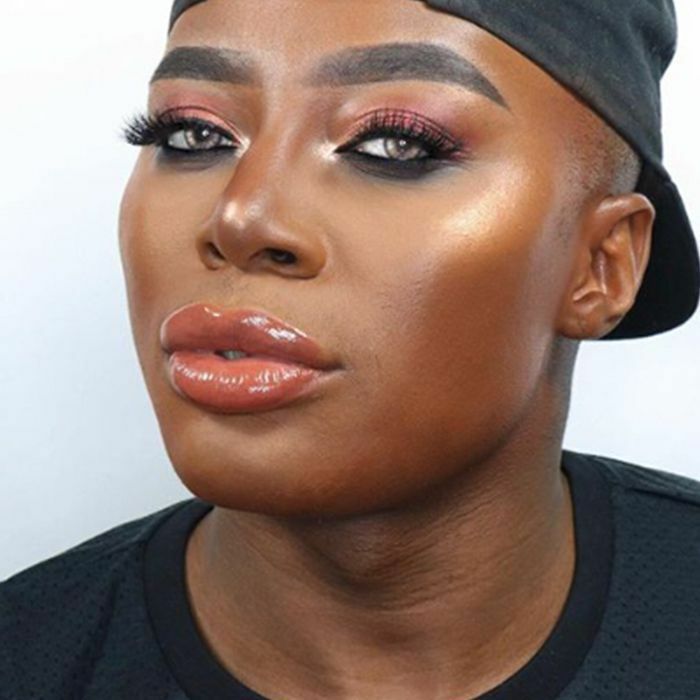 This blogger’s skills range from flawless glowing skin (which he’s got nailed) to incredible lip tutorials—and did we mention he’s completely hilarious and genuine? Keep reading for his first brushes with beauty. When was your first brush with beauty, or the very first experience with beauty you remember? I remember going to Space NK in Birmingham, where I lived, to buy a moisturiser, as at the time, my skin was super oily and I wanted to have great skin. I was so scared—Space NK was so prestigious and beautiful, and everyone looked perfect. I remember the woman sat me down and asked me loads of questions to suggest the perfect skincare options for me. I got this amazing matte moisturiser by Elemis; it worked wonders. Who has taught you the biggest beauty lessons—and what did they teach you? I learned my biggest beauty lessons from my best friend, who happened to be a makeup artist. I remember always putting foundation on and never really blending it by my ears or below my jaw, so sometimes it would look like I had a mask on. He taught me to always blend down to the neck and even the ears so foundation would look super seamless. He also taught me to use a deep-orange corrector, just placing it on the dark areas of my skin—that way I wouldn’t have to use such a full-coverage foundation. These tips have saved my life. I went to MAC to buy my first foundation. I was so nervous, as everyone looked so flawless. I was about 16, and my skin was a tragic mess. I walked in and up to the counter, and then walked right back out again. I finally got the courage to walk back in and ask for a foundation match—my palms and top lip were so sweaty because I was so scared. The woman who helped me was so nice and calm; I basically worked myself up for no reason. Moisture Blend foundation by MAC was the first one I bought, which is sadly discontinued; it made my skin glow for the gods. Have you ever made any beauty mistakes? Do you even believe in the concept? I've made so many beauty mistakes throughout the years, but I don't really believe in the concept of beauty mistakes. We all live and learn. I can look back at old Facebook photos and think, OH, MY GOD, why wasn’t I wearing eyebrow pencil; why was my foundation so red? But we all go through these mistakes to grow and change. Think back to your teens—who was the beauty idol we'd find on your bedroom wall? My beauty idol was always Naomi Campbell—I love her so much and think she's one of the most beautiful women in the world. Her skin is always so flawless, and she's super healthy. Any magazine cover she was featured on, I would run to the news agents and buy it just so I could cut pictures out and stick them on my wall. What's the one perfume that can transport you somewhere else? Where does it take you? 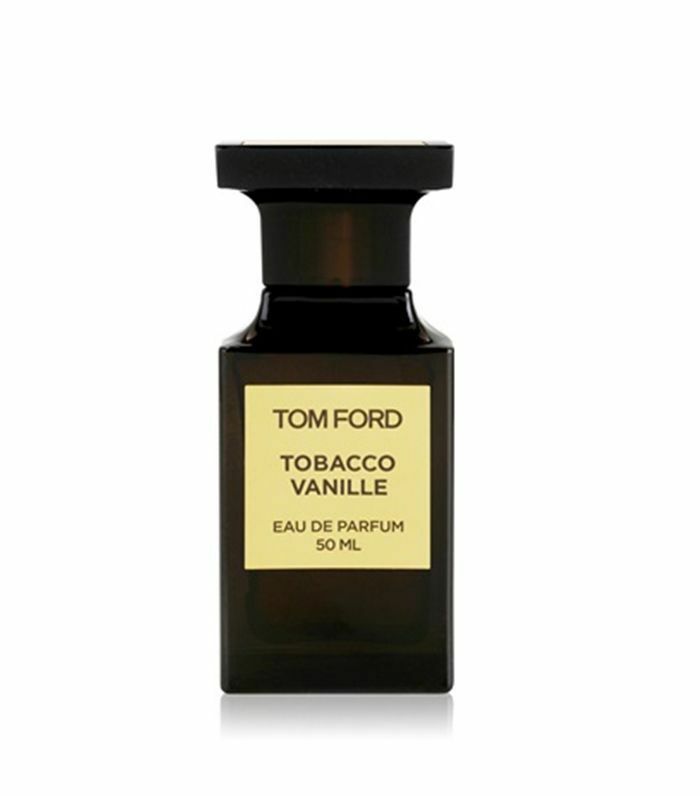 The one perfume I can't live without is Tom Ford Tobacco Vanille (£158). It's such a personal fragrance to me, and it always reminds me of Dubai. That's the first place I bought it. My first thought when the shop assistant sprayed it on me was just, WOW, what is that? Every time I wear it, people always ask me what perfume I have on. It's crazy to think a perfume can transport me to the Middle East. Is there any part of your beauty routine that you've NEVER changed? 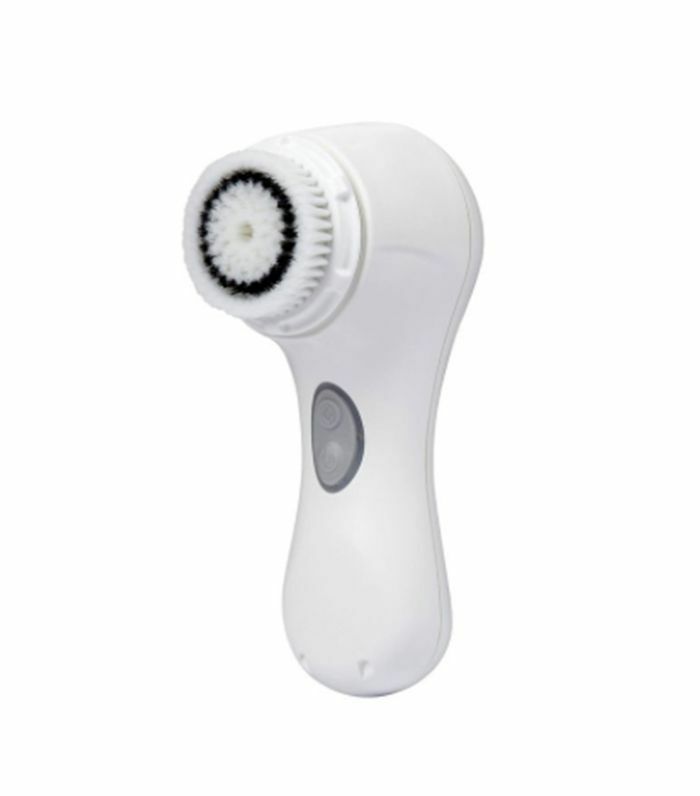 For the past five years, I've always used a Clarisonic. I just love how deeply they cleanse your skin, especially if you wear makeup every day. It's so much more powerful than using your hands to wash your face. What was the beauty trend that defined your youth? A beauty trend that defined my youth was the darker lip liner and brown lipstick trend. I remember seeing this so much in the late '90s and in loads of music videos; it just brings me back to a special time. How do you think beauty standards have changed since growing up and now? Has the change been positive? Growing up, finding a foundation that matched my skin tone somewhere like Boots was impossible. But now brands are releasing ranges with 40 shades, and if they aren't being inclusive, their audience is alerting them to this. This change has been so positive for me. What beauty advice would you go back and tell your 10-year-old self? I would say love yourself more and be more comfortable in your own skin. I would also tell myself not to get down when a brand says they have no colour for you, as one day this would change for sure. What was your first brush with beauty? Come tell us in The British Beauty Line.